Below, you will find a link to a PDF of our new patient forms, which should be downloaded, printed and completed in advance of your initial appointment. Please arrive 15 minutes early for your appointment. Bring your photo ID for the complete verification. Bring your dental insurance card and/or preferred method of pay. For your convenience, we accept Cash, Checks, Mastercard, Visa, American Express, and Care Credit. 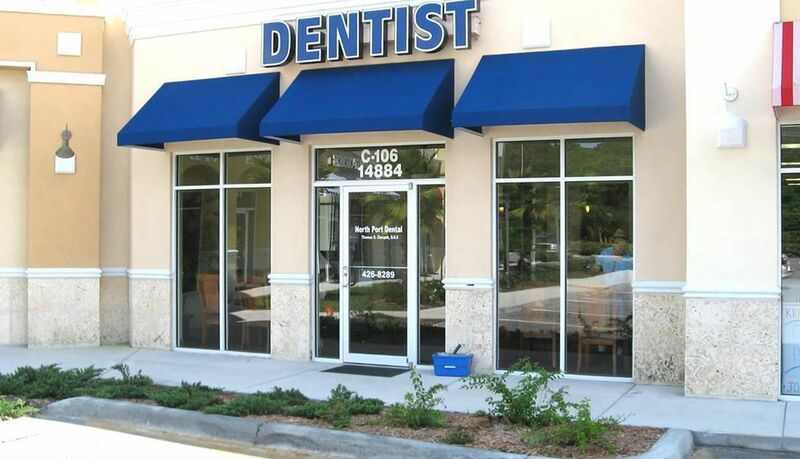 North Port Dental is conveniently located in North Port Commons on Rt 41 just 1/4 mile north of Sumter Blvd and 800 feet south of Lowes. Your kind referrals have kept our practice growing along with our staff! We are seeing new families everyday and our practice is growing from word of mouth referrals from people just like you! New patients can be seen promptly after calling us! We participate in many insurance plans. We have financing plans too! We look forward to serving you.